Twenty years ago, cassette tapes were being replaced by CDs, Drexel’s student-run radio station WKDU 91.7 FM released its last compilation album and some Drexel University students weren’t even born. Now, the student organization will release the newest compilation, “WKDU Live!!! !,” on cassette and digital download on Dec. 14. WKDU members will unleash never-before-heard sessions with local and national bands by selling 100 limited edition cassette tapes at the R5 Productions Punk Rock Flea Market on Dec. 14 and 15. As Philadelphia’s only free-format, non-commercial FM station, WKDU hosts radio shows that play all types of music from reggae and jazz to punk and indie. So of course the compilation album has a similar eclectic set of artists, including national acts Deer Tick and Bomb the Music Industry! and local groups like Spraynard and Restorations. Some of the artists who recorded sessions with WKDU also have a history of releasing their music on cassettes. The cassette artwork for “WKDU Live!!! !” was inspired by the iconic Toynbee tiles hidden on the streets of Philadelphia. According to Walker, the compilation is interspersed with station IDs (“Hi, this is ___ and you’re listening to WKDU”) from various celebrities like Henry Rollins, Bruce Campbell and the Beastie Boys. Allen Ginsberg even talked about the importance of going to your local Buddhist temple during his recording. “These are awesome IDs that not everyone gets to hear,” Maeve Walker, senior undergraduate design and merchandising student and program director of WKDU, said. The earliest performances included on the compilation come from 1999, and the more recent ones were recorded this past summer. The station IDs between songs go back to the 1980s and 1990s. WKDU last put out a compilation, a set of four 7-inch vinyl records titled “Scrapple,” in 1994. 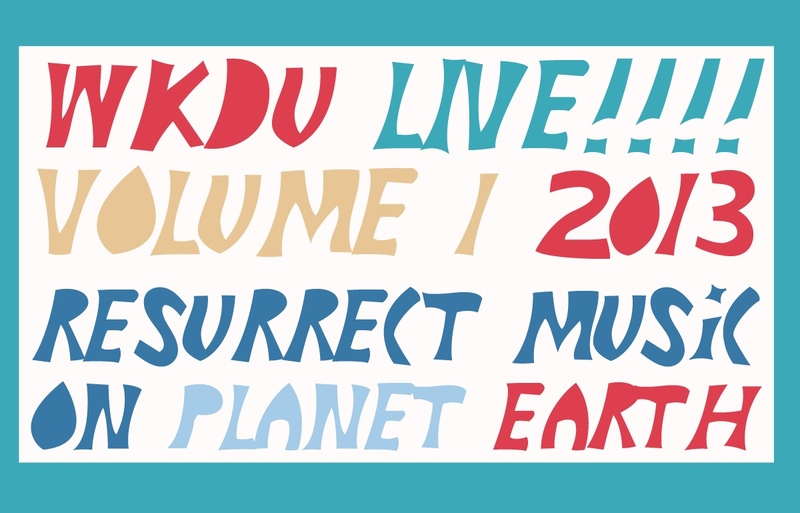 Members had talked about putting together a new compilation for years, but it wasn’t until this past summer that “WKDU Live!!! !” actually started coming together. Walker hopes that the success of the album will lead to another compilation –in less than 20 years. For now, the group is focusing on setting up a table at Punk Rock Flea Market amidst vendors selling old records, stereo equipment, instruments and other goodies. “We used to DJ the Flea Market for years, but people recently said we were too loud. R5 was awesome enough to still let us have a table at the event,” Walker said. “WKDU Live!!! !” cassettes will sell for $5 at Punk Rock Flea Market. The compilation album will be ‘Name Your Price’ on WKDU’s bandcamp site. Check out this article the Drexel News Blog wrote about our new live comp mixtape!